Every year, the fourteenth day of the month of February has millions across the world presenting their loved ones with candy, flowers, chocolates and other lovely gifts. In many countries, restaurants and eateries are seen to be filled with couples who are eager to celebrate their relationship and the joy of their togetherness through delicious cuisines. There hardly seems to be a young man or woman who is not keen to make the most of the day. The reason behind all of this is a kindly cleric named Valentine who died more than a thousand years ago. It is not exactly known why the 14th of February is known as Valentine's Day or if the noble Valentine really had any relation to this day. 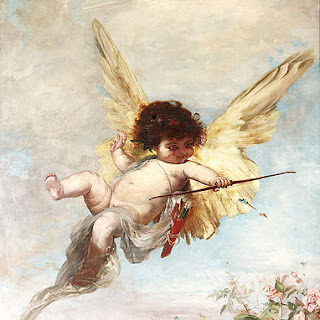 Saint Valentine The history of Valentine's Day is impossible to be obtained from any archive and the veil of centuries gone by has made the origin behind this day more difficult to trace. 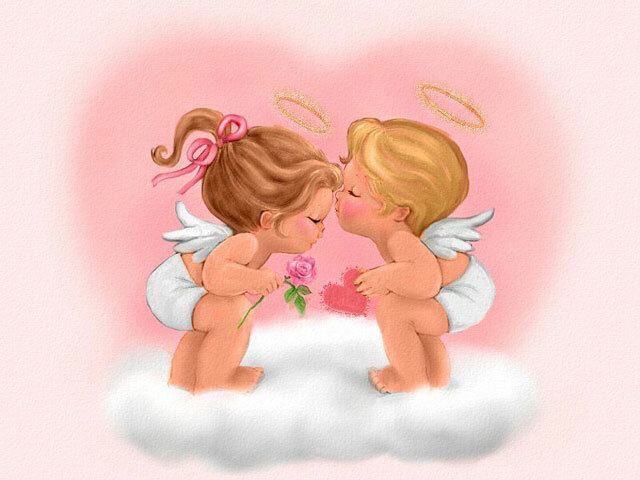 It is only some legends that are our source for the history of Valentine's Day. According to the Catholic Encyclopedia, there were at least three early Christian saints by the name of Valentine. While one was a priest in Rome, another was a bishop in Terni. Nothing is known about the third St. Valentine except that he met his end in Africa. Surprisingly, all three of them were said to have been martyred on 14th February. It is clear that Pope Gelasius intended to honor the first of these three aforementioned men. 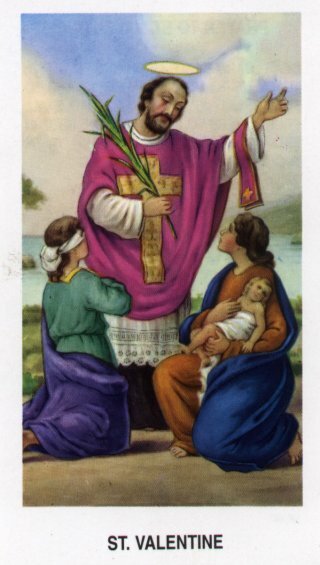 Most scholars believe that this St. Valentine was a priest who lived around 270 AD in Rome and attracted the disfavor of Roman emperor Claudius II who ruled during this time. The story of St. Valentine has two different versions - the Protestant and the Catholic one. Both versions agree upon Saint Valentine being a bishop who held secret marriage ceremonies of soldiers in opposition to Claudius II who had prohibited marriage for young men and was executed by the latter. During the lifetime of Valentine, the golden era of Roman empire had almost come to an end. Lack of quality administrators led to frequent civil strife. Education declined, taxation increased and trade witnessed a very bad time. The Roman empire faced crisis from all sides, from the Gauls, Slavs, Huns, Turks and Mongolians from Northern Europe and Asia. The empire had grown too large to be shielded from external aggression and internal chaos with existing forces. Naturally, more and more capable men were required to to be recruited as soldiers and officers to protect the nation from takeover. When Claudius became the emperor, he felt that married men were more emotionally attached to their families, and thus, will not make good soldiers. He believed that marriage made the men weak. So he issued an edict forbidding marriage to assure quality soldiers. While awaiting his sentence in prison, Valentine was approached by his jailor, Asterius. It was said that Valentine had some saintly abilities and one of them granted him the power to heal people. Asterius had a blind daughter and knowing of the miraculous powers of Valentine he requested the latter to restore the sight of his blind daughter. The Catholic legend has it that Valentine did this through the vehicle of his strong faith, a phenomenon refuted by the Protestant version which agrees otherwise with the Catholic one. Whatever the fact, it appears that Valentine in some way did succeed to help Asterius' blind daughter.